Monday 26th February 2018. Our back garden. I was just about to put my camera away. 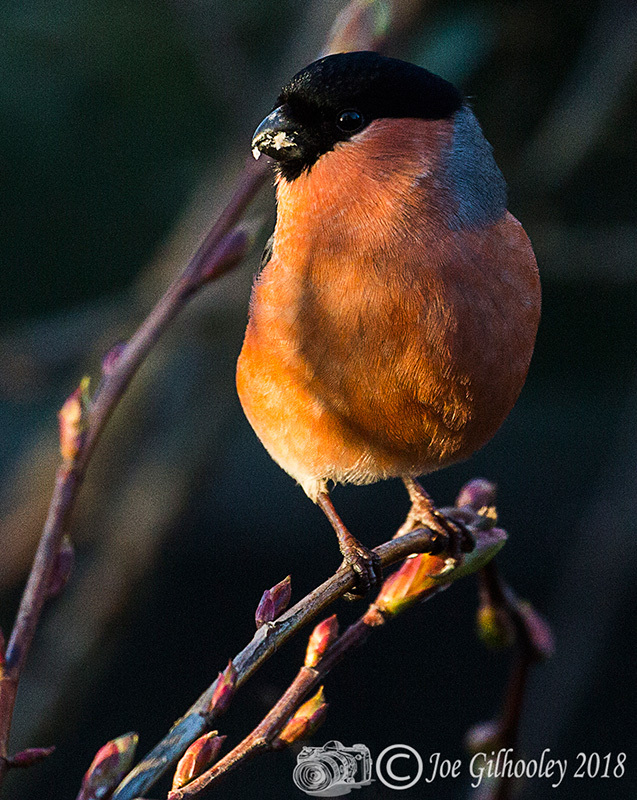 I spotted this male bullfinch in a tree close to our window. 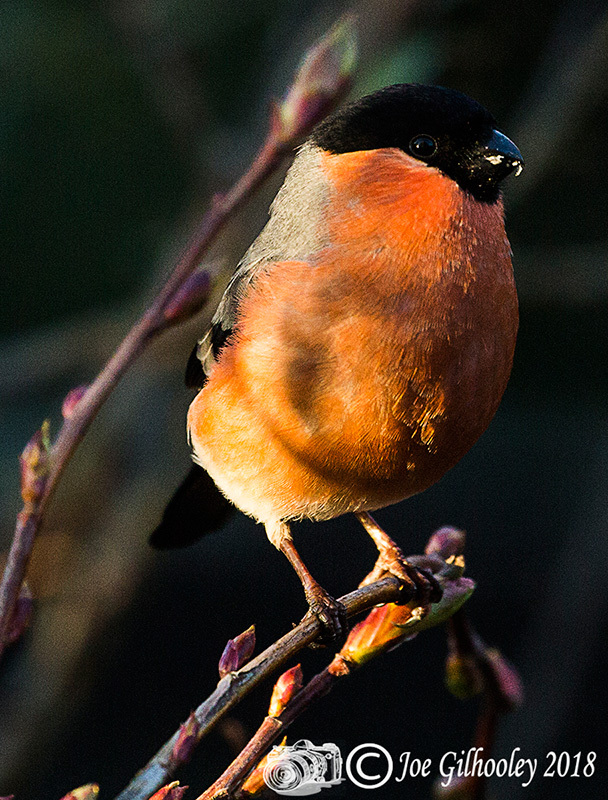 The low winter sun in the late afternoon was catching the wee bird. I managed to get a few shots out the open hopper window before the clouds covered the sun and the moment was lost.